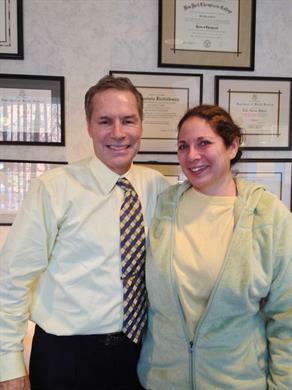 "I first experienced severe lower back pain in July 2006. There didn’t appear to be any particular activity that caused the problem. After two MRIs, I was advised that I had severe stenosis of the lower spinal column, and was given medication to calm the pain. At the time, I could not work or lie down without severe pain. I had to sit in a recliner at a certain position in order to sleep. After a month, I was able to schedule an epidural at Norwalk Hospital. This provided immediate relief. I was relatively pain free for two years, when I experienced another episode in June, 2008. The diagnosis this time was acute sciatica and again, was heavily medicated until I could get another epidural. With the epidural, I was once again relatively pain free. However, that lasted only three months until I again experienced a painful attack. This time I could hardly walk and, in fact, had to use a wheelchair to get around. 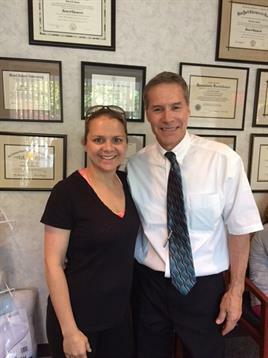 A friend and patient of Dr. Guerin's recommended that I schedule a consultation, which I did. 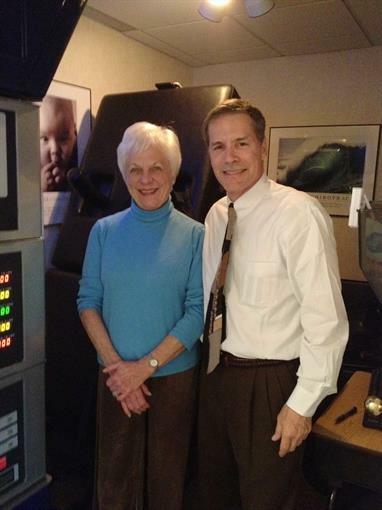 Upon reviews of my previous MRIs, Dr. Guerin opined that I was a qualified candidate for treatment on the NSSD. After the first three or four treatments, I was relatively pain free and disposed of the cane I was using in order to walk. I am now in my fifth week of treatments and am completely pain free. I am even looking forward to spring when I feel I will be able to play golf again. I have practiced my swing when weather has permitted, and have done so without pain. 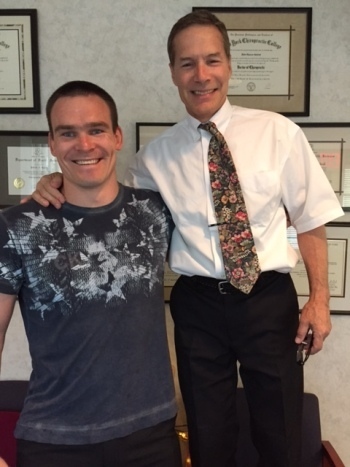 I highly recommend Dr. Guerin and the NSSD to anyone experiencing back pain. It has certainly helped me." 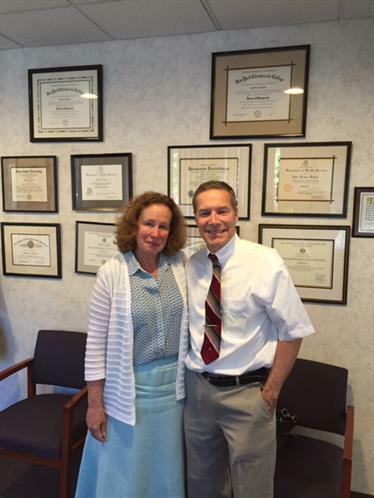 “I suffered for months with debilitating sciatic pain and nothing seemed to relieve it. 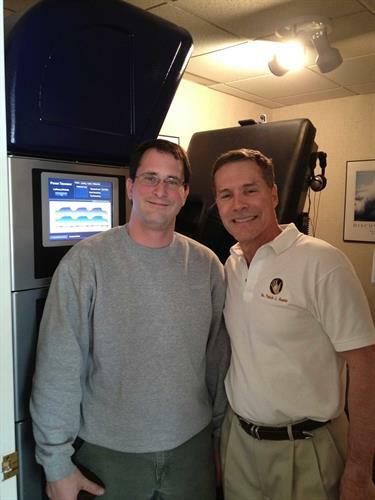 I decided to try chiropractic care rather than pain medication or surgery. 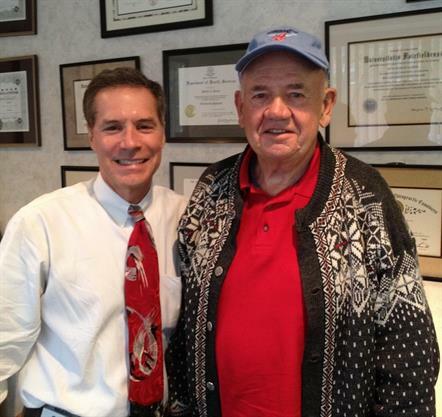 Dr. Guerin suggested a regiment including the NSSD treatment along with electrical stimulation and adjustments. 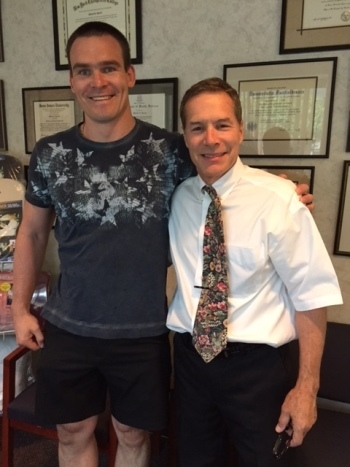 From an article in the Norwalk Hour on the Theralase by Westport Chiropractic: Dr. Patrick Guerin on a new treatment for arthritic knees - "I am now pain free for the first time in years. No more heating pads, daily Tylenol or sleepless nights!" Theralase is designed to speed up one's own body healing with no drugs, no harm; only relief can come from trying this treatment. 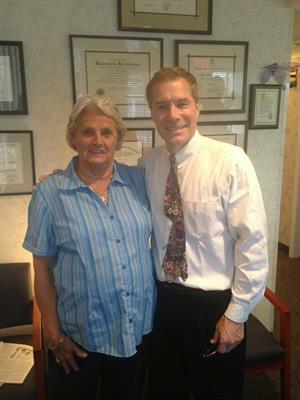 "Thank you Dr. Guerin for bringing me a pain-free knee." Karl T’s knee pain gone with Theralase. 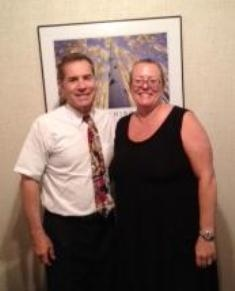 Julie T. Lost 22 pounds! Another successful treatment. 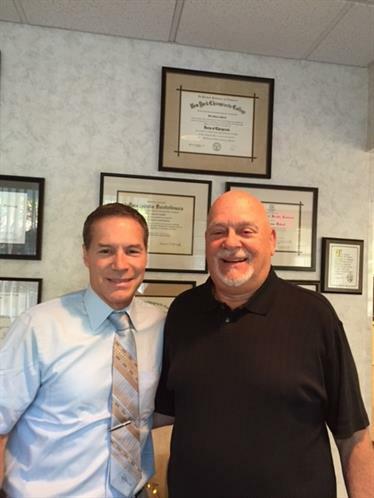 Mike lost 11 pounds in three treatments. 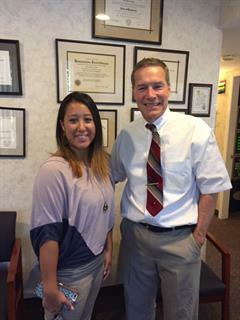 Maria has lost 30 lbs with Acu-thin. "After trying a number of popular "fad" diets. Acu-Thin appears to be the real thing. After three visits I had lost 5 pounds (1 ½ weeks). My biggest downfall in the past has been eating between meals and especially at night. I'm no longer having these cravings. I especially enjoy that I can't eat what I like and I have not given anything up. This program can work for anyone." -Len M.
"My experience with Acu-Thin has been the most positive. I have found that I can eat most of my favorite meals, even in restaurants and lose weight because I'm full with about 1/3 of the portions I used to eat. I have lost 8-10 pounds in a month. The process is painless and is something that really works. I've dieted most of the life by suffering not to eat, being hungry and finally giving up. This is something that makes eating less and eating right comfortable and possible." 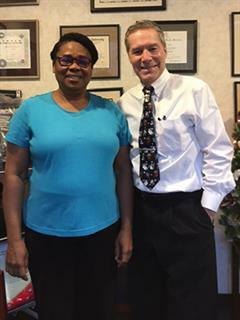 -June W.
"I went from a size 16 to a tight 12 in 1 month (about 15 pounds). I didn't even feel like I was dieting. I was shocked each time I got on the scale to find I had lost more weight. Even with Halloween and Thanksgiving occuring during my weight loss." -Margaret V.
"The Acu-Thin program is excellent. It does eliminate the urge for food/hunger. Cravings are gone. Have to remember to eat... The most important thing for me is the hunger loss and no cravings." - Renee H.
"I've been doing Acu-Thin for 3 ½ weeks and have lost 7 lbs! This has been the easiest 7 pounds I have ever lost! It is painless. My physical and emotional desire to eat has been diminished. I can't believe it. I am pushing food away! I highly recommend this to anyone who fits Dr. Guerin's success profile." -Ana S.K. "I can now fit into those clothes that I was keeping in the back of my closet & feel more confident because I know I look better as a thinner me! Thank you for this program!" -Janice B. "I love the fact that I don't feel like I have to eat the food that has not been healthy for me. I feel more control over my diet and beginning to see a positive outcome within two weeks. I will strongly recommend this program to my friends." 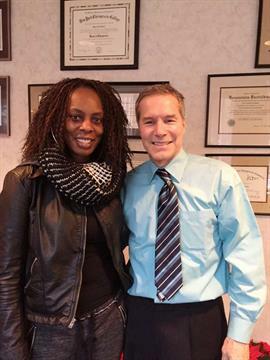 -Achara S.
"I lost 4 pounds in the first week and I only have 10 in total so I am thrilled. I lost my snack sweet/salty cravings and wasn't hungry. Thanks very much." 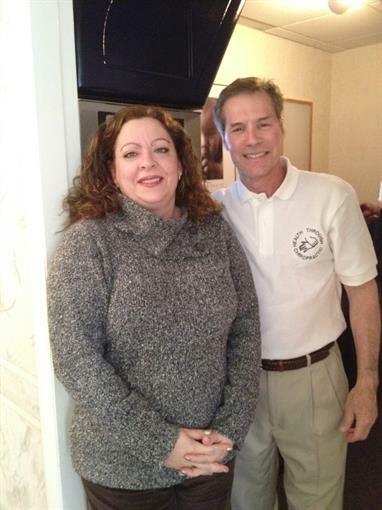 -Jennifer F.
"This program has worked for me with very little effort on my part. I have lost five pounds in 3 weeks. I would recommend this program." 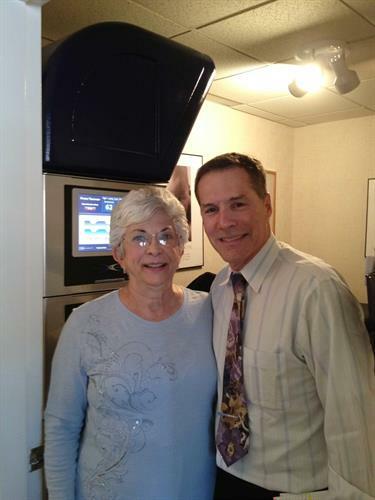 -Emmy L.
Melinda M. lost over 5 inches! Jayanti P. lost 4 in. Mitzie W. lost 3 in. Angela S. lost 3 in. Serena S. lost 3 in. Jessica J. lost 4 in. Ellen M. lost 3 in. Helen E. lost 4 in. "I am very please with my results. My arms look really good. I was able to finally get rid of the fatty pocket under my arms as well. I also have a more slender waist." 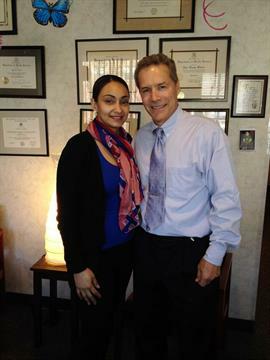 - Kim S.
"I have no regrets in having signed up for the 12 Lipo Light treatments. In fact it was the motivation I needed to lose 10 lbs. The staff was pleasant, prompt, and professional. I thank them all." - Olivia Y. 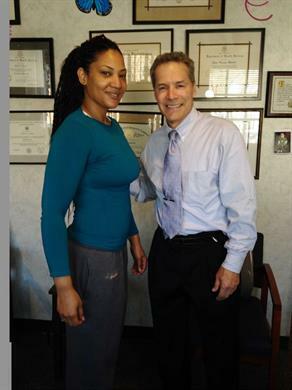 "I had Lipo Light 2-3x a week for 20 sessions on my neck, abdomen and thighs. The results were great, 4" off the waist, a flatter, firmer belly and fantastic change in my neck. An old injury and surgery had resulted in fatty deposits that could only be corrected by surgery, until now. I highly recommend this therapy." 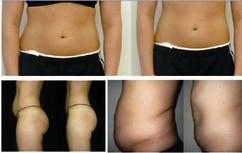 - Carole M.
"Lipo-Light works! I lost one pants size!" - Janel C.
"I came in with a flabby stomach at 38 inches. After 12 visits for 20 minutes each time I'm very excited for my 35 inches. I would recommend this procedure and I'm very happy. Thanks Dr. Patrick!"